Hey Gary – Nice to hear from you. I really enjoyed reading about you in SurferMag. 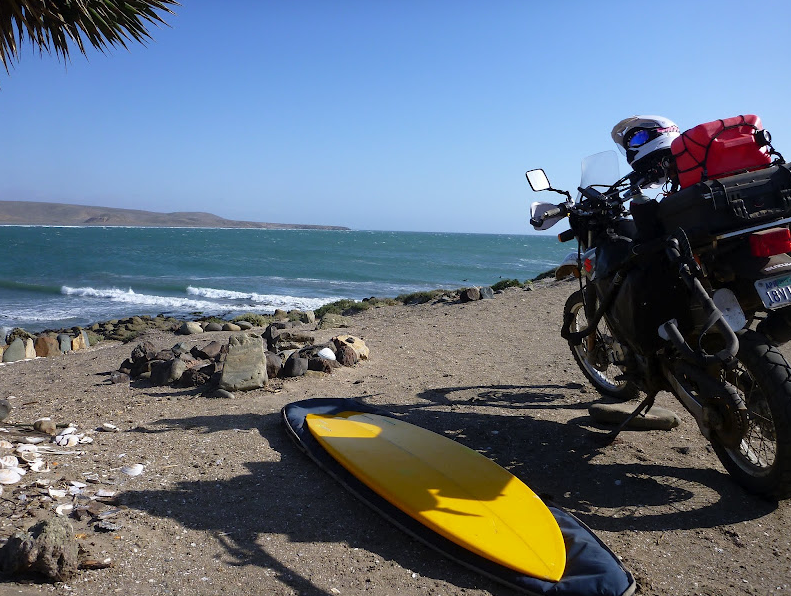 When I did my first trip down Baja I could only find 2 other instances of anyone doing surf travel by motorcycle. One guy was from Canada, but he was more into the travel part and really didn’t surf much. He rode the Kawi 650. That’s cool, but reading his blog didn’t help much. There was another article about a couple of pro surfers who rode Honda 650s down Baja, but that was like a 3-4 day trip with very little info, so that didn’t help much either. I was hoping to find a friend or two to come along, but I couldn’t. In the end, I think I enjoyed that first trip more doing it alone. Like you! I haven’t done much “surfmoto” travel since, as work and fly-away trips have taken up that time. But it’s fantastic to see what you’re doing, and I’m catching glimpses of others who are just figuring out that this is the best way to take a surf trip – by far! Where’s your blog? Give me a link! By the way, you’re not GaryUnguided, are you? hey man – I never checked back to your blog to see the reply – glad we connected on the forums! I’m in Turkey now and the board rack is long gone since riding across North Africa , but keep finding waves everywhere – even greece and turkey! I want to get a rack again but may go a different route than the carver rack – aluminum is too hard to get. welded when it breaks! Hey! Great to hear from you. Unbelievable journey. From a novice off-roader hitting up the most remote surf breaks in Baja to a hard-core world traveler. Nice job! Yeah, agree on the aluminum. That’s the trade-off, weight vs strength and practicality…seemingly always.